So there’s a bit of a kerfuffle going on right now between Senate DFLers and all other DFLers concerning the raising on the minimum wage. Maybe you’ve heard about this? If not, I’ll recap the story, broad brush stroke style. 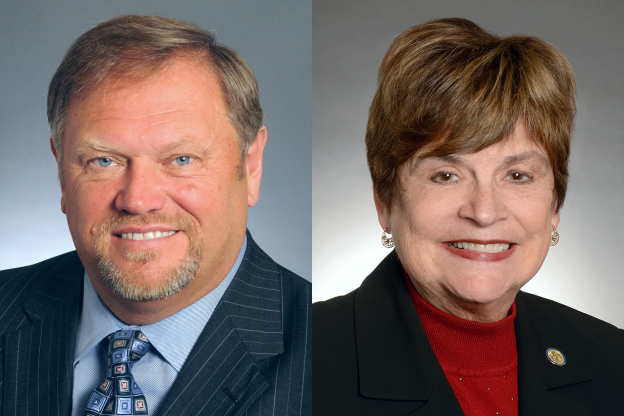 Last year the minimum wage did not get increased despite the desires of many people, some of those people even being members of the DFL legislative leadership. So people who actually have control over such things. This was a major failure, the major failure, of an otherwise successful legislative session. But not to worry, the issue would be swiftly resolved in the next legislative session and the state would be a better place. This current legislative session is that next legislative session during which the minimum wage issue was supposed to get dealt with. It has not yet gotten dealt with. In fact, rather than being dealt with, the issue of the minimum wage has caused a considerable amount of acrimony among DFLers in the two chambers. Last year the major sticking point, seemingly, was the amount of money to raise the minimum wage to; the Senate wanted $7.75 and the House wanted $9.50. This year they both agree on the “amount of money to raise the minimum wage to” part of the equation, it will be raised to $9.50. But there is now another thing that they don’t agree on, they don’t agree that the number should stay $9.50. You see, the House wants to take the route of indexing the minimum wage to inflation while the Senate just wants to leave it at $9.50. Apparently the Senate thinks this whole fight over the minimum wage is super fun and wants to do it again and again and again. Good times. (2) the rate established under paragraph (b) beginning January 1, 2016. (b) Beginning January 1, 2016, and each subsequent year, the minimum wage in paragraph (a) is multiplied by the ratio of the annual implicit price deflator for government consumption expenditures and gross investment for state and local governments as prepared by the United States Department of Commerce for the most recently available year, to the 2013 implicit price deflator for government consumption expenditures and gross investment for state and local governments as prepared by the United States Department of Commerce. (c) If the United State Department of Commerce does not prepare an implicit price deflator, the legislature may select and utilize a mechanism that produces a measure that most closely resembles the implicit price deflator. (d) The legislature may provide by law for a higher minimum wage than required under this section. This is, essentially, a giant middle finger to House DFLers. The above proposed amendment claims as it’s authors Tom Bakk and Ann Rest. What are some things that Tom Bakk has said recently about amending the constitution? Constitutional amendments favored by one political party but not the other, like the two failed measures from 2012 to ban gay marriage and require photo identification for voting, would become much less frequent under a proposal a state Senate committee backed Monday. Bill sponsors, including Senate Majority Leader Tom Bakk, told the Senate State Government Committee that the state constitution should have a stronger cushion against partisan pressures. Right now, a simple majority vote of the House and Senate sends an amendment to the statewide ballot; the governor has no power to stop it. Bakk’s amendment, if it makes the 2014 ballot and is approved by voters, would require that all proposed amendments clear a 60 percent supermajority in the House and Senate in order to make the ballot. And of course, by “really, really important business” Tom Bakk means whenever the Senate and House don’t agree on something. Given the context of Tom Bakk pushing to make it more difficult to amend the constitution just this month, it’s hard to take this Tom Bakk authored constitutional amendment to raise the minimum wage seriously. And what about the other author of the amendment, Ann Rest, what has she had to say recently? Ann Rest is against indexing the minimum wage to inflation and will not be voting for it, unless of course indexing the minimum wage to inflation gets added to the state constitution, where it’s much harder to tweak after the fact, then she’s totally for it and will eagerly author the bill to make that happen. Also, her reasoning for being against indexing “Legislators should be willing to do the right thing consciously and vote for increases when they are appropriate” is ridiculous when you consider that the reason raising the minimum wage is such a pressing issue is that legislators either have not done anything about it or have been serving alongside a Gubernatorial administration that wanted nothing to do with it. Indexing the minimum wage to inflation would have solved that issue. But then of course, legislator’s wouldn’t have been able to do consciously do the right thing and raise it last year, which they didn’t do. You see the problem. So yes, both Tom Bakk and Ann Rest are being completely disingenuous and I would be shocked if this constitutional amendment is actually on the November ballot. But they have both proven an ability to troll with the best of them. Troll on you crazy diamonds, troll on.